Electric vehicle manufacturer Tesla has a track record of disrupting well-established industries. Its move into the insurance business suggests there’s further upheaval on the way. The announcement by auto manufacturer Tesla that it has begun selling insurance with its electric vehicles in Asia caught many insurance providers off guard. The scale of Tesla’s likely disruption of the insurance industry, however, will almost certainly cause further surprises. First up, Tesla’s move into the insurance market, for now primarily as a distributor, will force many carriers to tackle some of the big challenges presented by the rise of increasingly autonomous automobiles: as these vehicles become safer, and less likely to be involved in accidents, their risk profiles will change substantially. Claims will almost certainly drop and this will put pressure on premiums. But a drop in premium revenue could well be offset by a fall in loss costs. More importantly, the responsibility for insuring this risk is likely to move, to some extent, from the drivers of these intelligent vehicles to their manufacturers and suppliers. Tesla’s CEO Elon Musk is challenging insurers to get to grips with these changes. He told a recent gathering of investment analysts that his company is looking to working with insurers that will provide cover that is proportionate to the risk of its vehicles. He added that Tesla is prepared to “insource” this cover should insurers not match their prices to the lower level of risk which he attributes to his cars’ Autopilot safety features. Tesla, according to news site Electrek, is already working with AXA General Insurance in Hong Kong and QBE in Australia to offer its customers attractive insurance packages. The growing interest in autonomous vehicles, from Tesla and other manufacturers, is a major threat to auto insurers’ revenues. Recent studies certainly indicate that these vehicles – even the semi-autonomous models which are becoming commonplace – are safer and less accident-prone than their conventional counterparts. If carriers don’t respond effectively to the impending upheaval of the transport industry, they stand to lose substantial business to more agile competitors or entrants from outside the industry. The UK Government recently added impetus to this transformation facing the auto insurance industry. It proposed that insurers provide products that address the risk of both driver error and machine malfunction within a single policy. These recommendations, and proposals from regulators in other markets, will provide guidelines for auto insurers to adapt their business models to the fast changes sweeping the industry. Tesla’s entry into the insurance markets flags another important trend that could jeopardize carrier’s revenues. A growing number of organizations from outside the traditional insurance industry are offering cover to their customers or offering their platforms as distribution mechanisms. Our research shows that consumers are increasingly willing to buy insurance from these newcomers. Thirty-eight percent of the consumers we surveyed around the world were willing to buy cover from peer-to-peer insurers, for example. Thirty percent would consider getting cover from retailers – up from 14 percent in 2013. 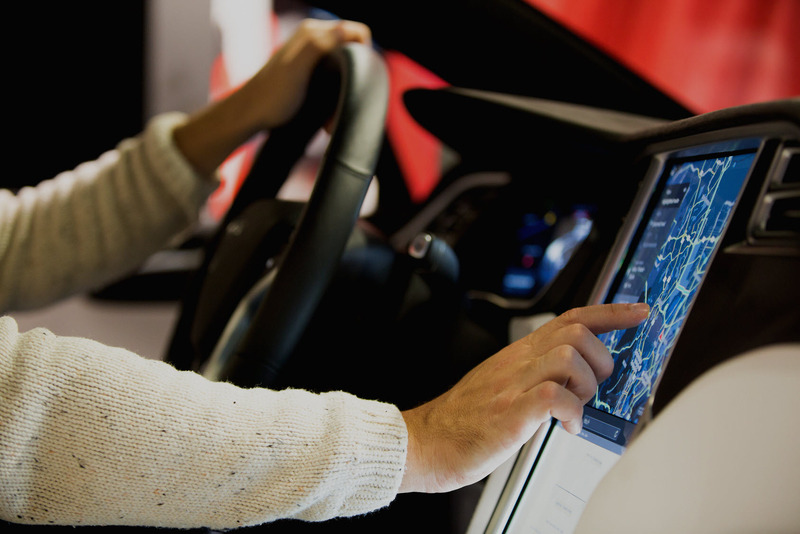 Tech-savvy Tesla has several additional advantages that will enable it to step up its presence in the insurance industry. The extensive telematics systems in its automobiles allow it to closely monitor driver performance and vehicle usage. It can use this data to create highly flexible personalized insurance products, as well as deliver a variety of real-time services, that meet the specific needs and circumstances of its customers. Consumers are eager for such services. Sixty-four percent of our global sample are interested in real-time accident alerts, for example, while 46 percent would like personalized advice on how to become a better driver. Insurance discounts could easily be among the rewards and incentives the Silicon Valley company uses to improve driver performance and enhance the customer experience it delivers. Tesla has already begun to partner insurance providers in some of its key markets. Further details of its alliances are likely to emerge soon. Some of these partnerships may well develop into extensive digital ecosystems that could stretch far beyond the automotive and insurance industries to include, for example, entertainment, news, education, accommodation, tourism and even fast-food services. Tesla has proved to be a potent disruptor of traditional industries. Look at its activities in the automotive and energy sectors. Now insurers should ready themselves for the shake-up Tesla is likely to trigger in their business.